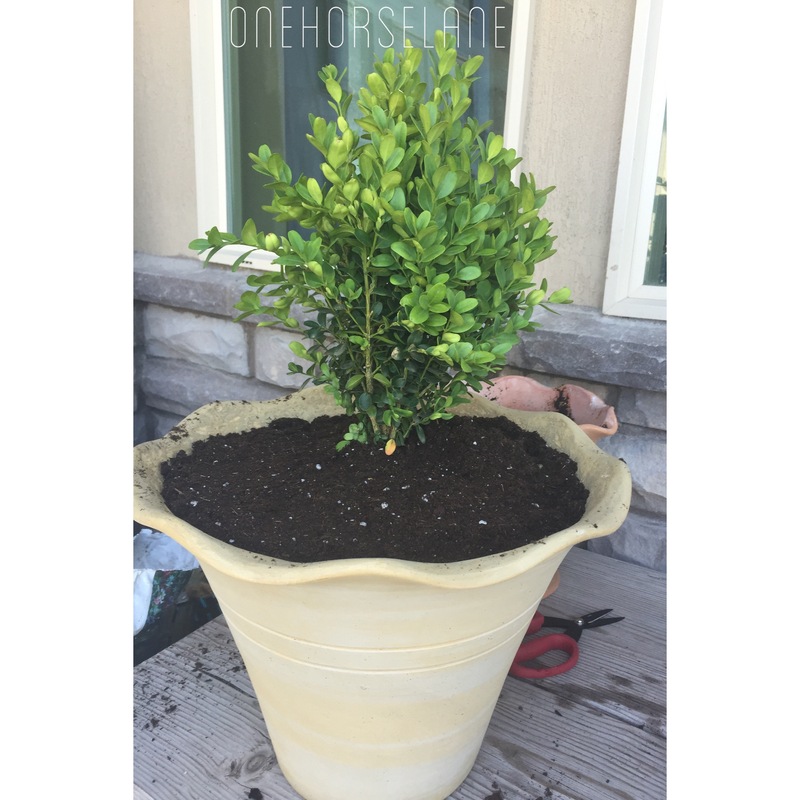 We’ve all seen these lovely little creatures… And I even have several preserved topiaries… But I decided it was time to add a few live topiary plants to my home. 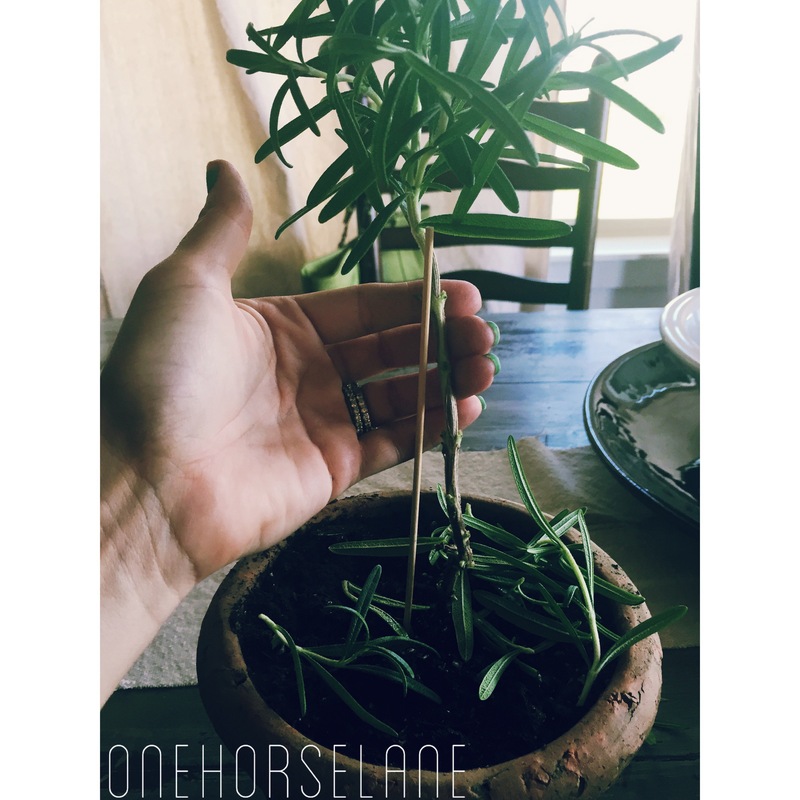 So, I set out to find a Rosemary shoot (seedling) from a nursery to grow my own. To train it, and teach it to be the lovely little topiary creature I knew in its heart it wanted to be! Here’s what it looked like when I bought it. (Cost: $3.95). 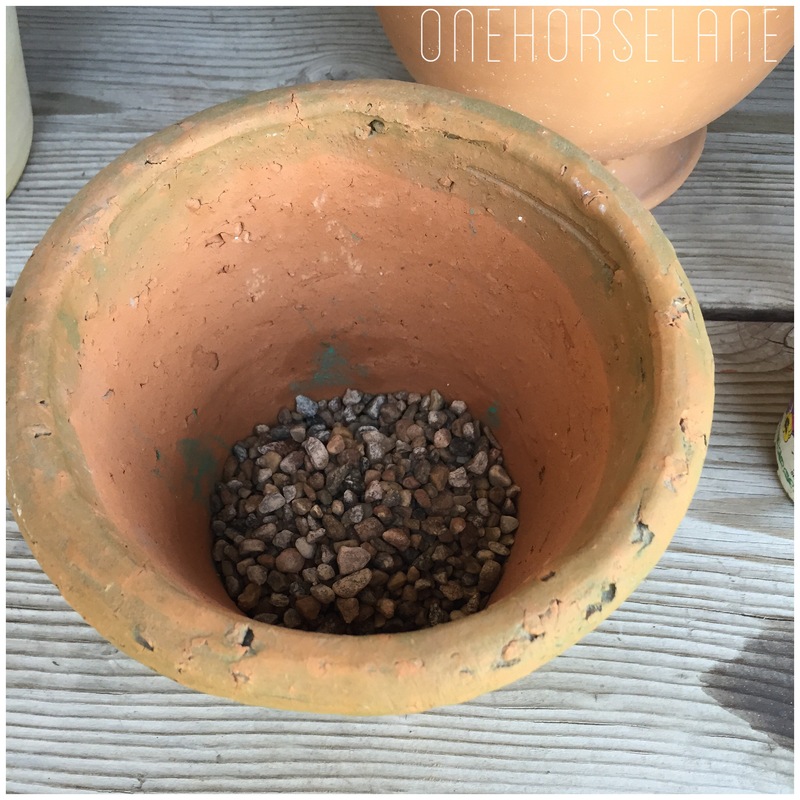 Next, I poured about a cup of potting soil into the pot, and watered it to remove air bubbles. 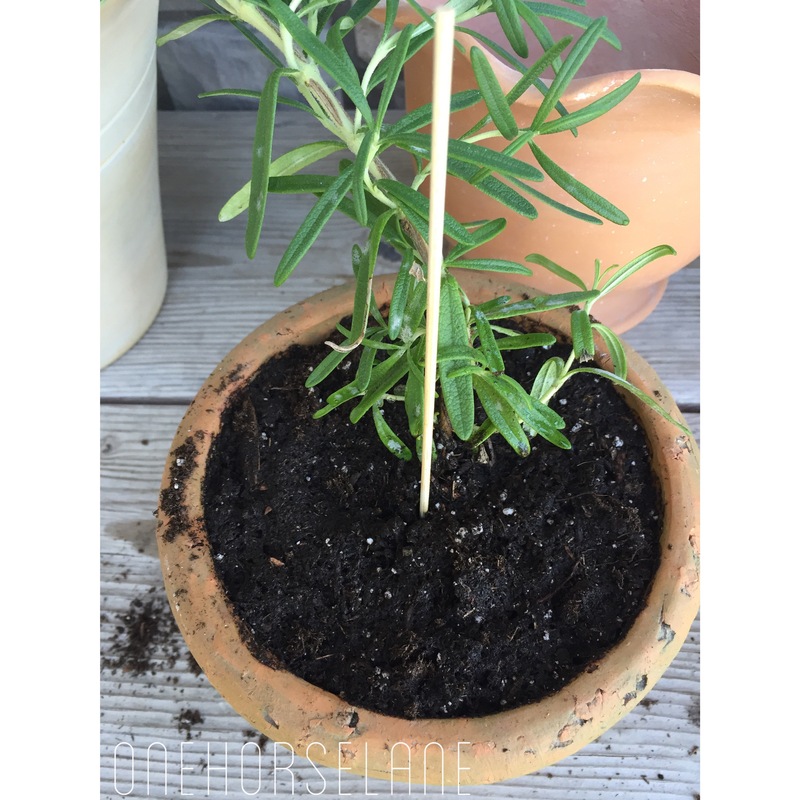 Then, I gently removed my little Rosemary shoot and root system from her container… And placed her centered on the gravel. 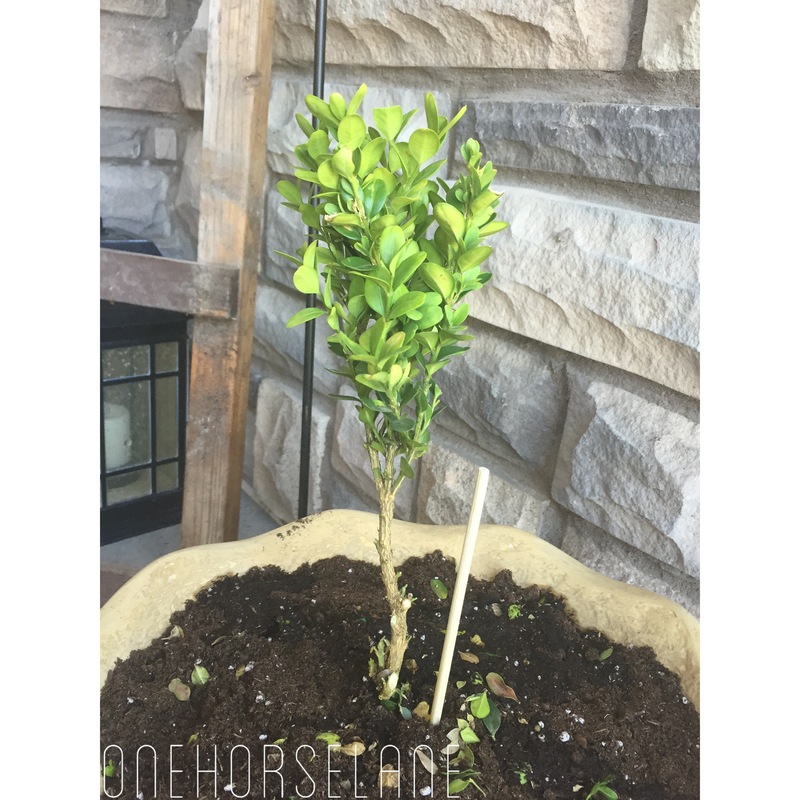 I added some tree and shrub potting soil all around and a little on top, and carefully pushed in a little bamboo stick next to her “trunk”. (I used the bamboo skewers you buy for grilling… It’s what I had on hand). Next, I trimmed all her little “shoots” of leaves off the bottom until i got to the height I wanted the bottom of the lollipop topiary to be. I also decided on the total height I wanted her lollipop to be at this point, and trimmed off the top shoot so she would stop growing up and start to fill in as a ball (The gorgeous fragrance Rosemary gives off was so lovely during this part). Now, it was time to secure her little “trunk” to the bamboo stake so I could teach her how to grow. I used twine i had on hand. 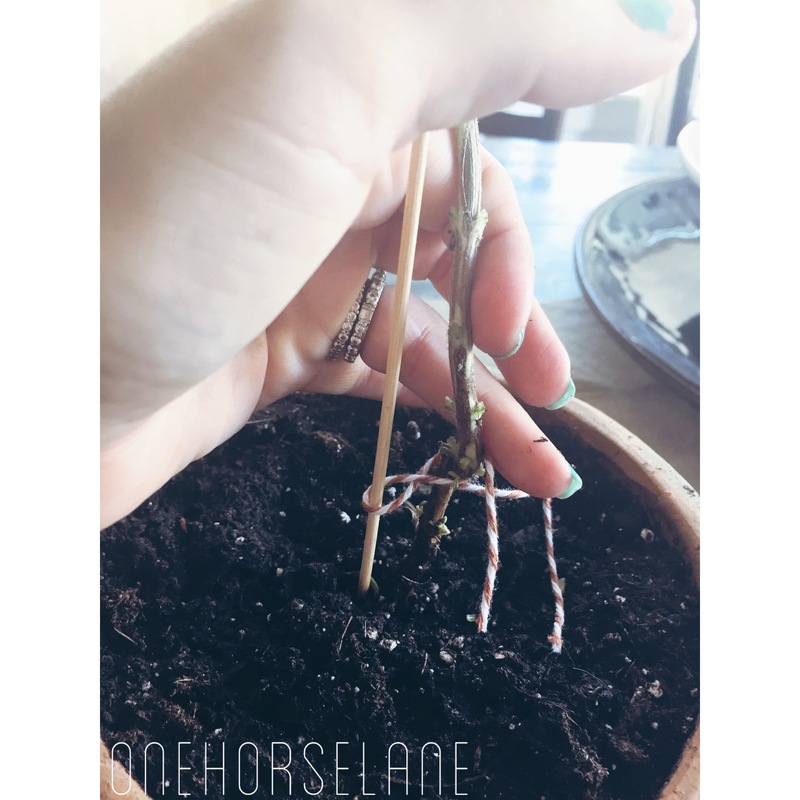 Gently pinch her trunk to the stake, and tie the twine (you could use raffia that you’ve soaked in water also… Just nothing damaging to her little trunk) in a figure 8 pattern around the trunk and the stake. Knot it, and trim off the excess. Do this in a few places until you have secured her trunk in a “straight” growing pattern. 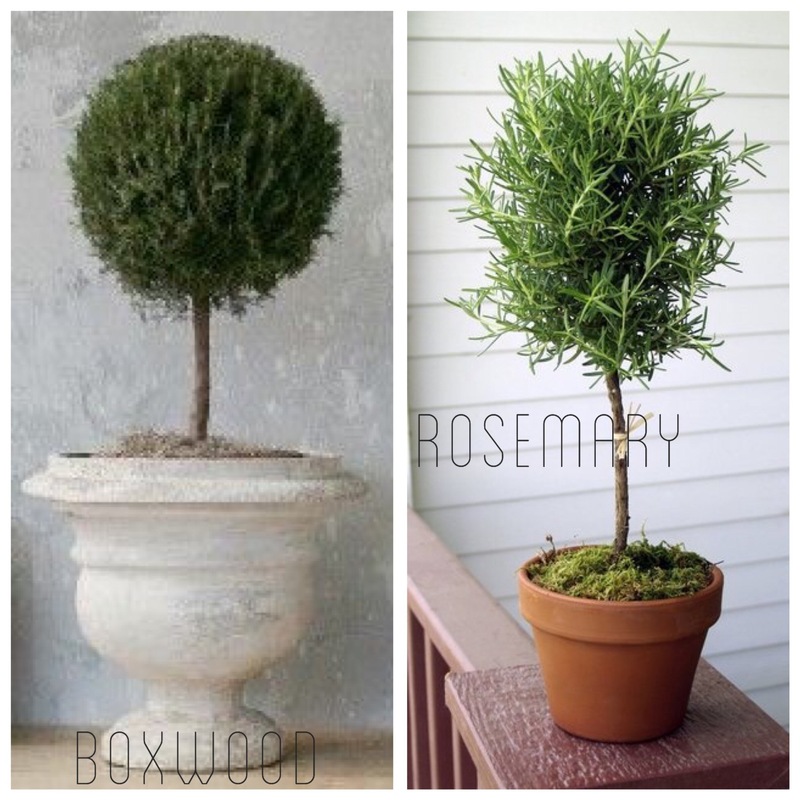 So, I made both topiaries for the cost of $18.00. I just found this post at Home Talk. What a great idea, I can’t wait to try this. How are your plants doing? When you trimmed the tops off did you just cut the main stem? Hi Sally! Thanks for the question. My plants are doing amazing! They have been such a joy. As a matter of fact, i am currently working on a follow up blog to show them, and making a few more! I did just cut the main stem when cutting the top to create a “top” for where i wanted my topiary ball to reach in height. Does that make sense?! 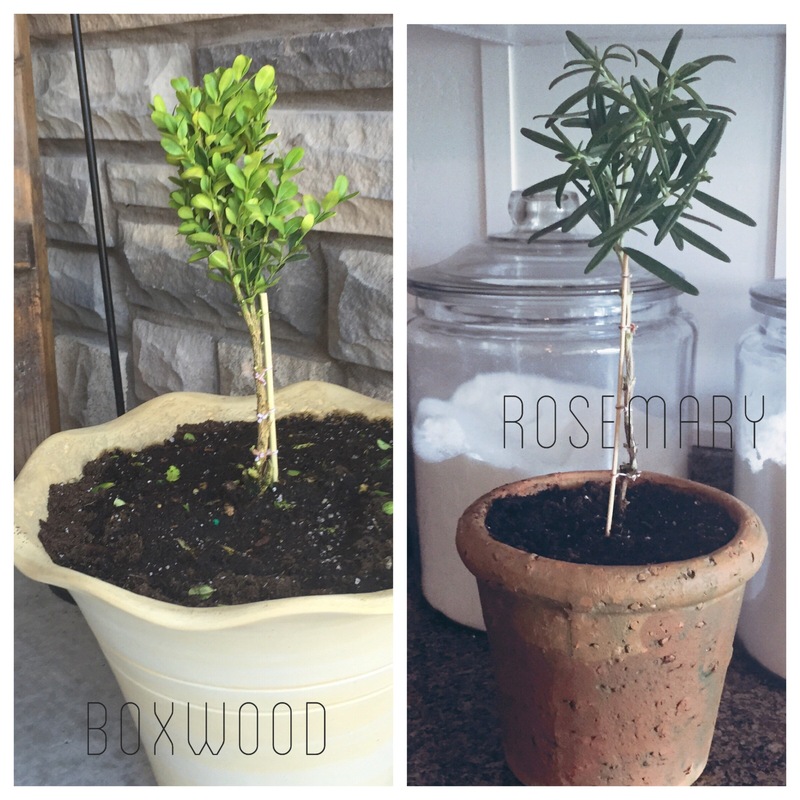 I am working on alot of gardening and flower tips and tricks for upcoming posts this month that i hope you find helpful. I was thinking about doing this same project and blogging about it! Great minds 🙂 I love the look of the topiaries but feel the same way about that hefty price tag. Well done! Aren’t they so great Brittany? I love them too! I’d love to see your post about it!! Thank you so much Karla! 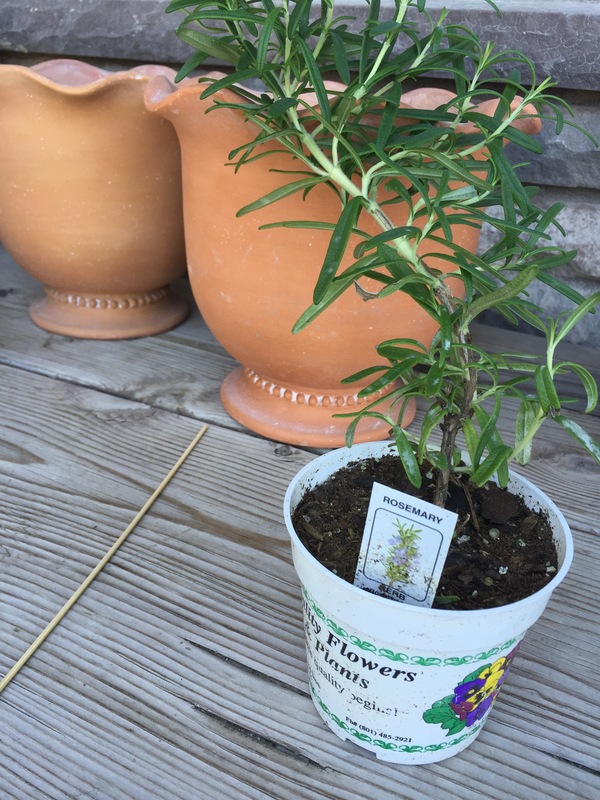 I love Rosemary too…such a delicious plant! 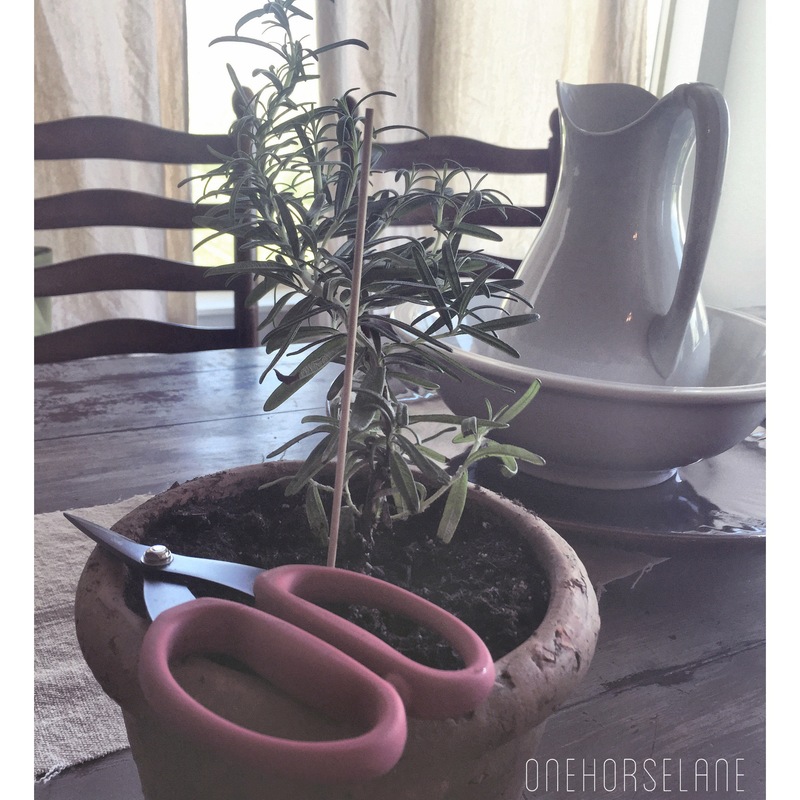 I had no idea you could do that with rosemary!! I love the smell of it too – they look adorable! Thank you Kim!! Isn’t the smell just heavenly? !